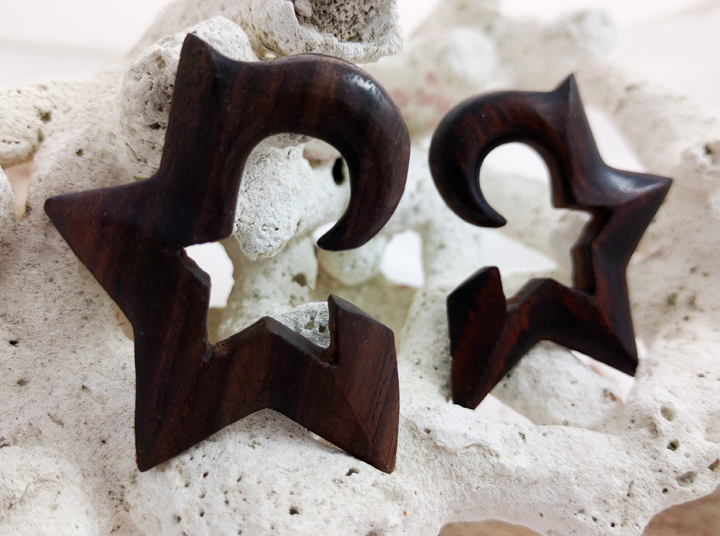 Make a statement with this gauged pair of Sono Wood half star earring hangers. 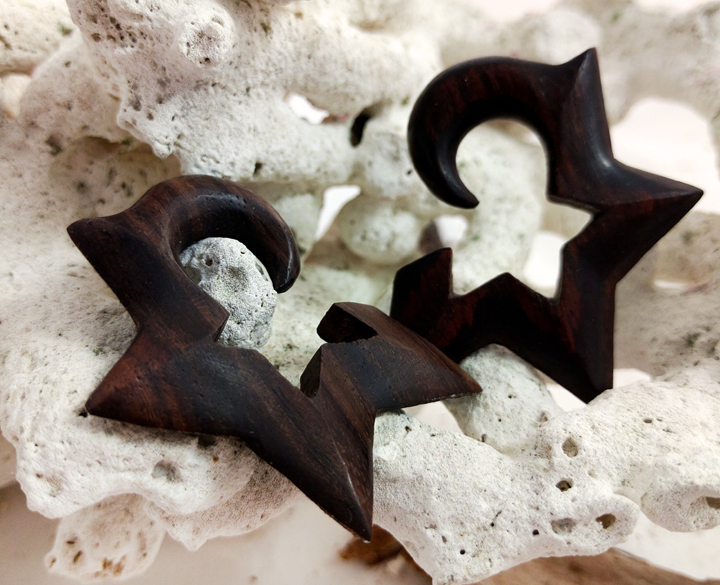 They are beautifully hand crafted gauged earrings with carved deep angles for maximum contrast and light catching. We do also have this style in Areng Wood if you would prefer a darker wood. As with all of our gauged earrings we try to carry most of the popular gauge sizes, but if you don't see your size listed please feel free to contact us or check back later since we're constantly restocking or adding new sizes and styles to our line. 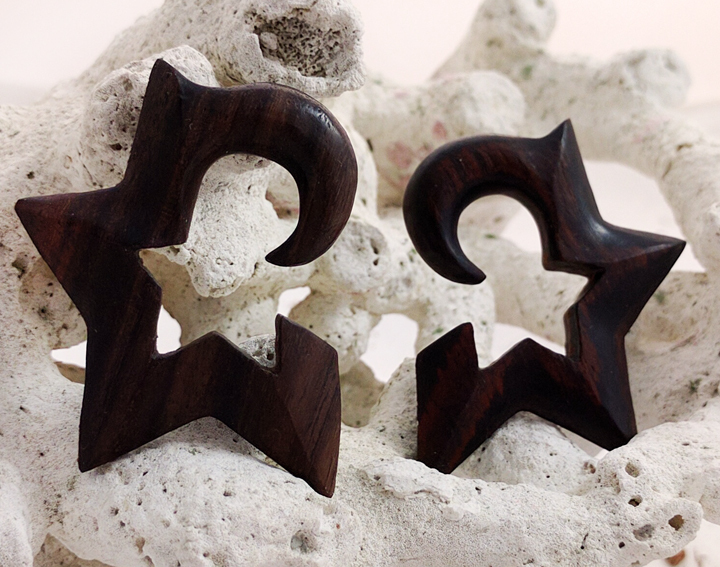 Note: While we're sure that our Organic Ear Gauges will be a great addition to your collection of hangers, we do not recommend wearing them if you are newly into ear stretching or have just moved up to a new gauge and are still healing. Due to the porous nature of horn, bone, and wood they will absorb moisture and bacteria from the healing skin which can cause infection.